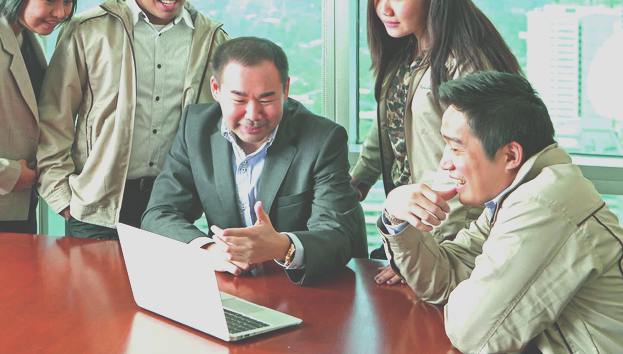 Carl Dy, the president of Spectrum Investments (a property portfolio management company) is a property investor with over 15 years of experience. Formerly director for Sales at Ayala Land Premier, Dy believes that property investment, just like business, is not an automatic income-generating product. One must combine passion with strategy, and devote time and effort for the investment to flourish. He is also the Chief Inspiration Officer of his family, making sure he mentors, educates, gives hope, and serves as spiritual head to his household according to the word of God. Q: What lessons [can you share] in terms of building an independent sales team? A: The enabler leader – A good sales team leader enables his team to shine and work at their peak performance. The enabler-leader provides whatever is needed for the sales team to shine both technical and inspirations. The enabler-leader puts the spotlight on his team and lets his team shine and have the spotlight. The enabler also inspires by sharing a vision, and letting the individual have autonomy to figure out their strategies to reach that vision. The hall monitor leader – Being very strict, chronicling activities of the sales people puts down independence and morale of the sales team. The hall monitor-leader puts himself on top before his team. There is no genuine concern nor empathy on the individual, just process, procedures, and quota. Q: What have you discovered about motivating an independent sales force? A: Know your people’s “why” – Yes, money is a good motivator, but understanding why your sales force wants the money is a big motivating factor. Is it money to cover for an elderly parent, money for a sick family member, money to give their family better future, money to pay off past debts, money for charity and be a blessing to others, [among others]? It is also important to know your team’s love language. It can be in the form of affirmation through words, quality time spent with them, acts of service like helping out to get a project done, tokens or gifts of appreciation, and last but not the least—physical touch like a pat on the shoulders or a sincere handshake. Q: What about successful sellers versus those who have tried but didn't make it? What made them different? A: Selling is both [a] science and [an] art. Successful sellers are able to diligently follow the science of selling which is to work on the numbers and have a systematic follow through system. He must be able to present his product well, line up the advantages, benefits of his product, and [be] able to show how his product is the most ideal solution to the clients' problems. He must also be able to measure his monthly or weekly productivity—chopping activities down to a daily must do activity list—and be a good organizer. Being able to mix 50% science to 50% art is the best recipe for sales success. Highly accomplished sales people are able to build deep relationships with their clients. They understand the source of pain and gratification of their client, understand their client's priorities and motivation, and are able to fit in their product as a sincere solution to the client's needs. They are also great storytellers who have the unique ability to connect with their clients' heart and inspire them to want something better. Q: What were some hard-to-forget failures in marketing or business which you can share to our young readers and what are some lessons that you have learned from them? A: Selling the product and not the solution – This is a very basic mistake that I see a lot of sales people make—focusing on the long list of features of a property without connecting it to how the client will benefit from it. Try to find the reason or motivation on why your client agreed to your presentation. Once you can find that one big pain point and offer your product as a solution, closing deals will come naturally. Focusing on handling objections – We are taught in sales to handle client objections, to the point that some sales people look forward to clients objecting, so they can bring out their war chest of reasons why their product is good. An ideal good sales pitch is where the potential objections are already answered early on in the presentation, only clarifications are left at the end for Q&A. Presenting without the intention to close – Many sales people will go to a client telling them that this is just a presentation and is not a sales pitch. On the flipside, I think customers now would rather hear that you will ask for 30 minutes of their time, present your product, and hopefully convince them that your product is able to give value or solve their problems. You can also humbly set the stage of your intention to close the deal and add them up soon in your happy client's list. Be honest – There is a very big difference if you enter a meeting putting yourself first, aiming to close a deal, thinking of your bottom line and your quota, as compared to entering a meeting aiming to build relationship and offering your product as a solution to a problem of your client. If you have your clients’ interest as a priority, there will be days when you will not close the deal because of a mismatch. But don't feel bad, continue to nurture the relationship. Who knows, it may lead to a successful referral? Do not focus on [the] money. Money is just a by-product of good actions, good habits, and good intentions.